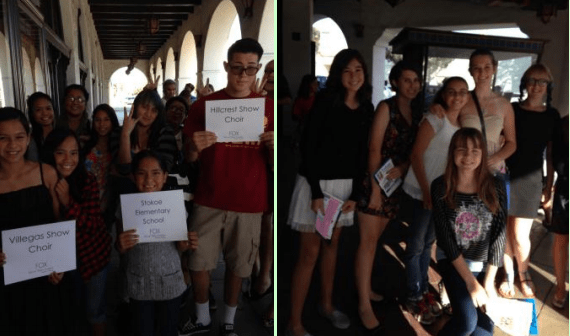 “Thank you Fox Theater – Students At Broadway Program! The Hillcrest and Villegas Show Choirs were fortunate to see two Broadway Shows this fall at the beautiful Fox Theater in downtown Riverside, as part of the “STUDENTS AT BROADWAY” program. On October 13th, they saw STOMP, an electrifying, interactive percussive feast that exposed them to ingenious ways of making sounds. Next was The Buddy Holly Story on November 19th, which highlighted the music and the message of the late great Buddy Holly. 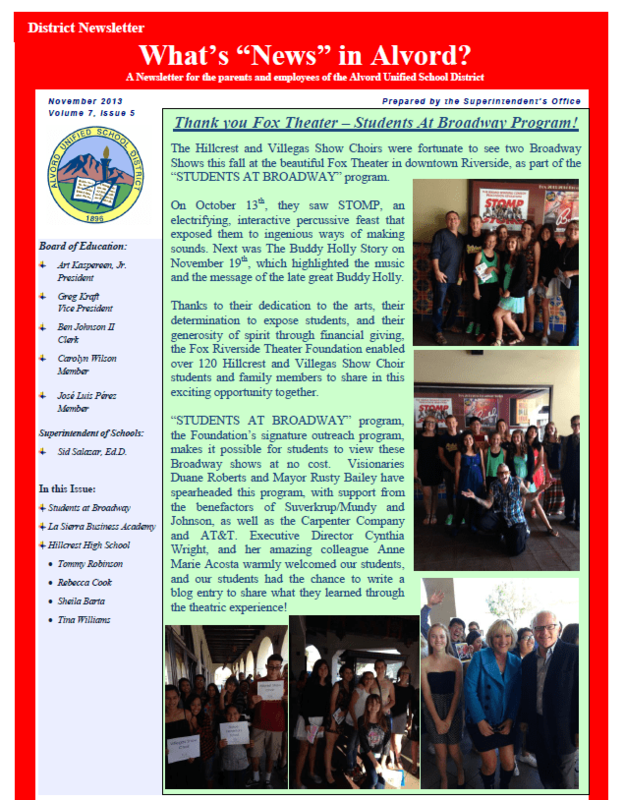 Thanks to their dedication to the arts, their determination to expose students, and their generosity of spirit through financial giving, the Fox Riverside Theater Foundation enabled over 120 Hillcrest and Villegas Show Choir students and family members to share in this exciting opportunity together.